If you're constantly finding yourself getting the ladder and toolbox out to patch up leaks, holes and damage, chances are you're looking for more convenient permanent solution. We can help! 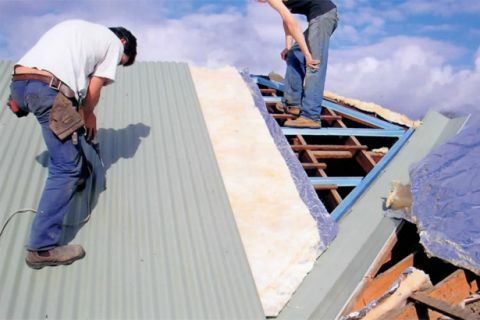 Our team provide professional repairs and roof restoration Wantirna wide, at great value for money rates. We work only with the best quality materials, including Colorbond steel, which can be colour matched to suit the existing exterior colour scheme of your home. We also offer a number of options in terms of traditional terracotta tiles, which can be pressure cleaned, repainted and more. Our staff always operate according to WorkSafe rules, and make sure to leave your property clean and tidy afterwards – no dust, debris or runoff! To top it all off, we provide a generous ten year warranty on all workmanship. To get your free no-pressure quote, give us a call on (03) 9038 8110 or 0410 437 057.